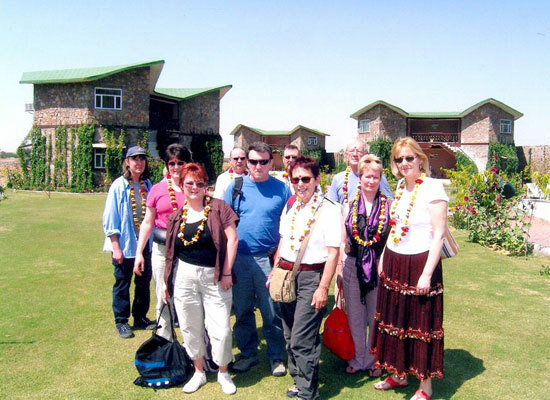 "An ideal getaway for a family vacation, filled with wildlife adventures, Ranthambore Forest Resort is set in around 5 acres of land. Boasting of an interesting backdrop of mountains and surrounded by verdant greenery, the resort offers some spectacular scenic views. 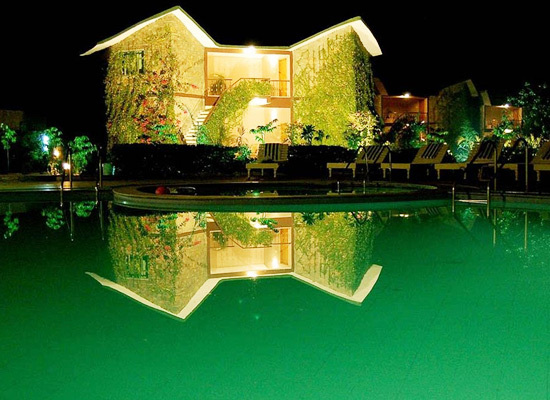 The resort does not only has spacious rooms and serves lip-smacking delicacies but also offers a number of recreational activities. 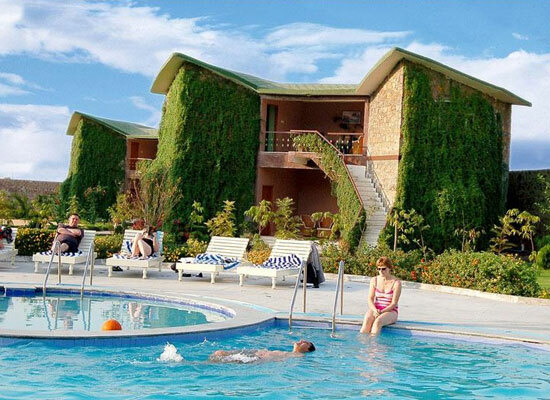 Guests can enjoy several facilities such as a Spa center, Conference room, several games, pool and so on. Wake up to the sound of the bird chirping. Ranthambore Forest Resort is a heritage-style property taking its cue from the palaces and residencies of the Royalty of Rajasthan. The aim of the makers is to offer a lavish stay to its guests, clubbed all modern comforts, right close to the wilderness. 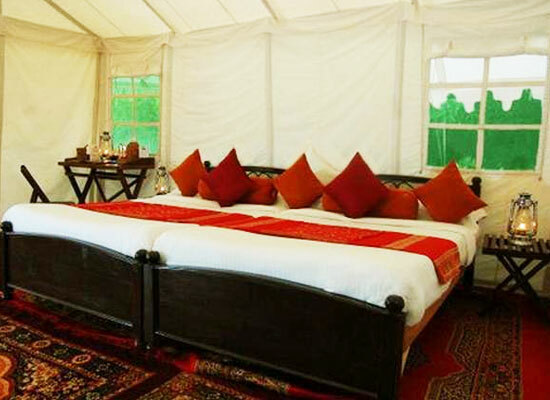 The resort is pretty close to the very popular Ranthambore National Park. 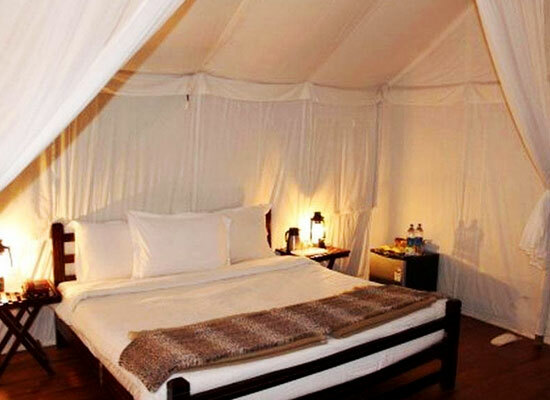 The spacious rooms are well-maintained and well-fitted with all contemporary comforts. 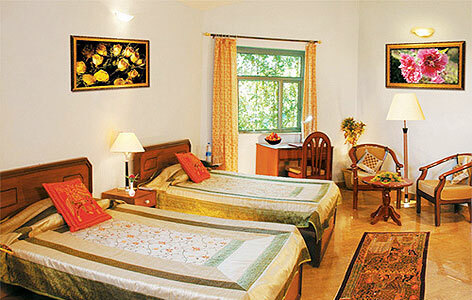 Relish lovely views of the nature from the windows of your rooms. The interiors are rich, the color palette is soothing the furnishings are lavish and the furniture extremely comfortable. 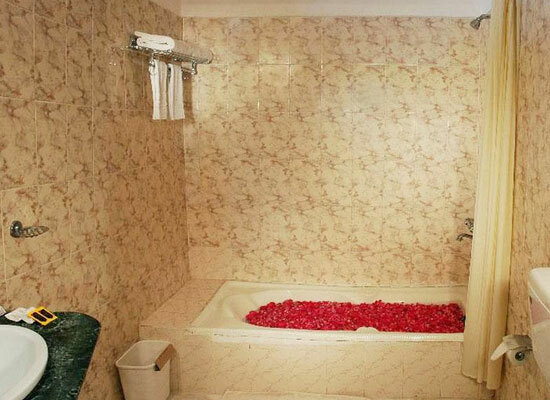 Attached airy bathrooms, round the clock running water, king-size bed, LCD TV, telephone, tea/coffee maker and more. 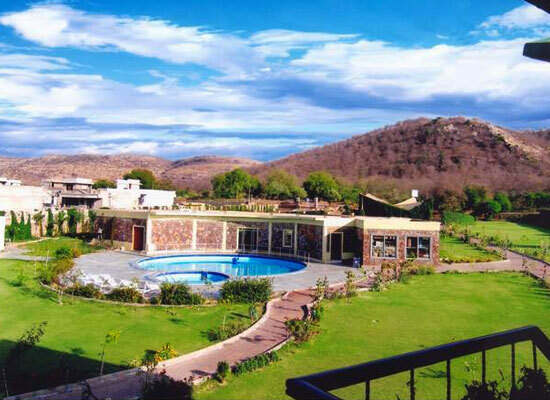 WelcomHeritage Ranthambore Forest Resort has a multi-cuisine restaurant serving popular Indian as well as World fares. The chef and his team prepare lip-smacking dishes using only the freshest of ingredients. The bar offers an exhaustive list of both alcoholic and non-alcoholic drinks. Ranthambore National Park in Sawai Madhopur is one of the most popular wildlife reserves in the northern region of the country. The former hunting grounds of the royalty of the region, it. covers an area of 392 sq km. The park is also a Tiger reserve and is known for its decent tiger reserve.